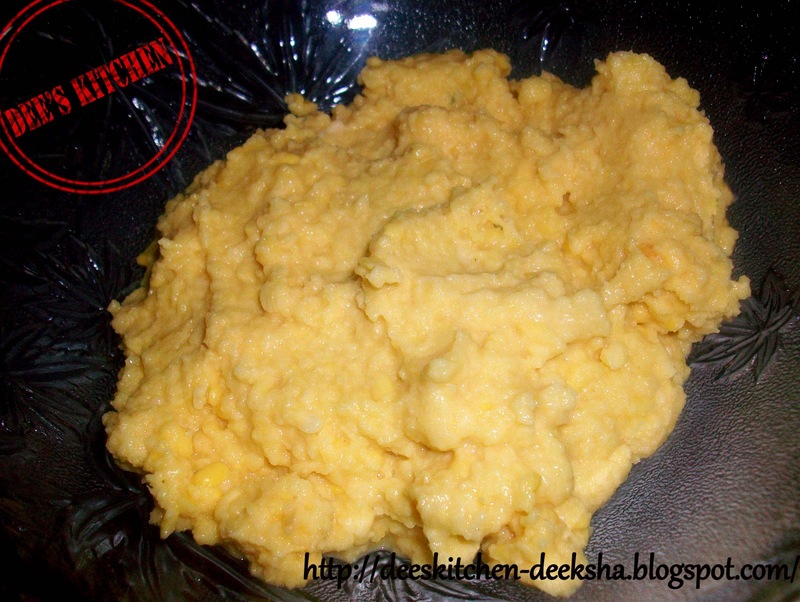 * Wash and soak dal in water for 3-4 hours. * Grind the dal without water in grinder to make a very thick past. Grind it little coarsely. 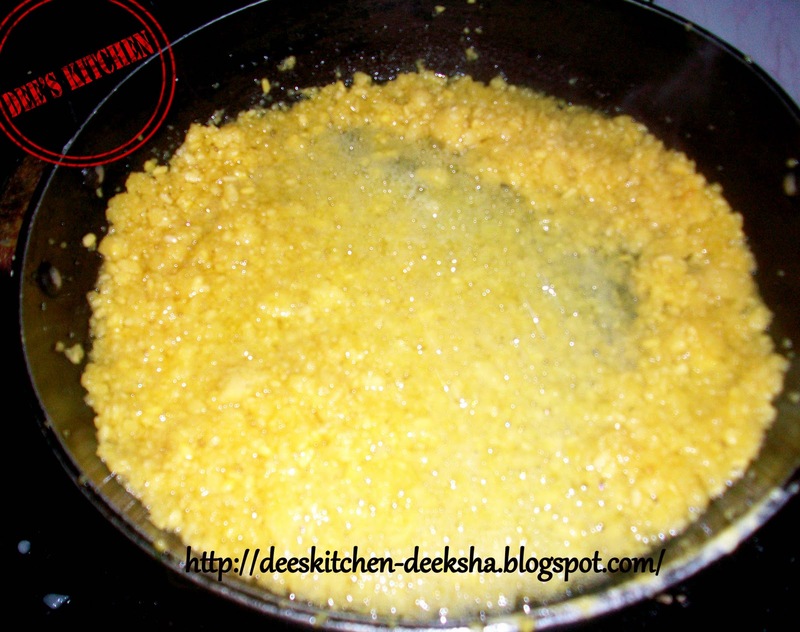 * Heat Ghee in a non stick pan. 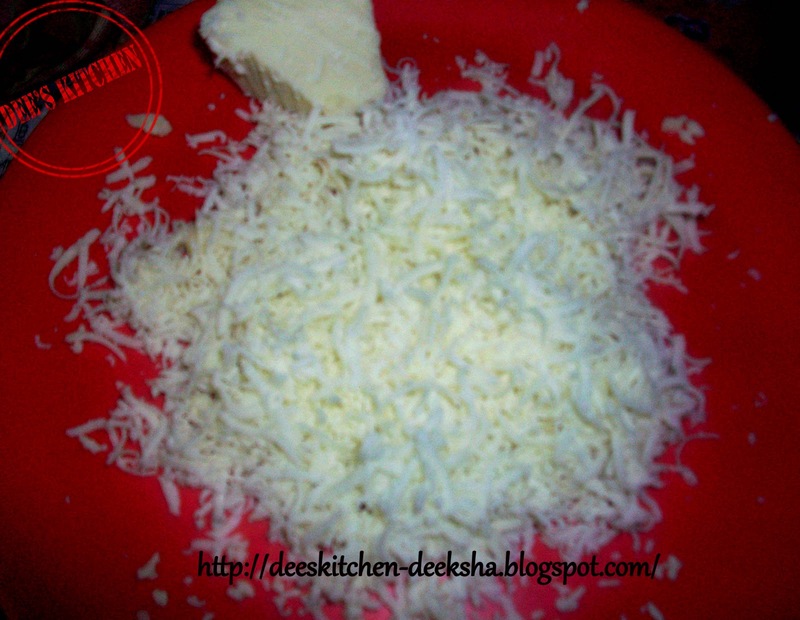 * Add dal paste and roast it till light brown in color and a nice aroma came in. Keep stirring continuously. * It will take about 20 to 25 minutes. * Meanwhile on the other burner heat sugar and water together. Bring it to a boil. Switch off the fire. * Add grated mawa to the roasted dal paste. Cook for two to three minutes. * Now add sugar syrup and mix very well. * Cook for about 3 to 4 minutes till it thicken. Add cardamom powder, cinnamon powder. and mix. * Dish it out and garnish with Almonds and pistachio. 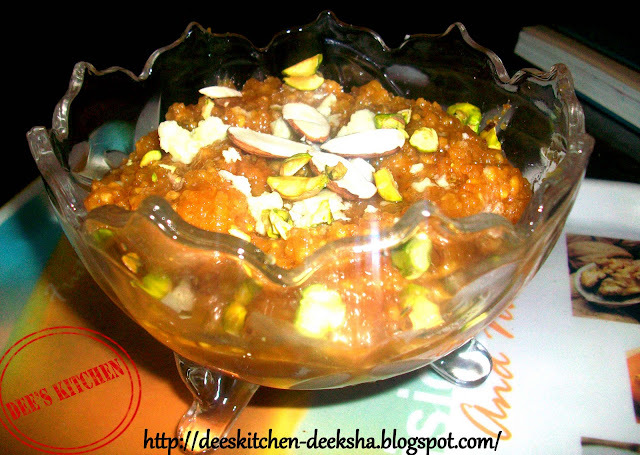 Congrats n keep rocking n this is perfect way to celebrate..yummy halwa..
Congrats Deeksha!.Wish U many more Happy returns of the Day.Mungdal Halwa luks yumm!. Best recipe for special occasions. 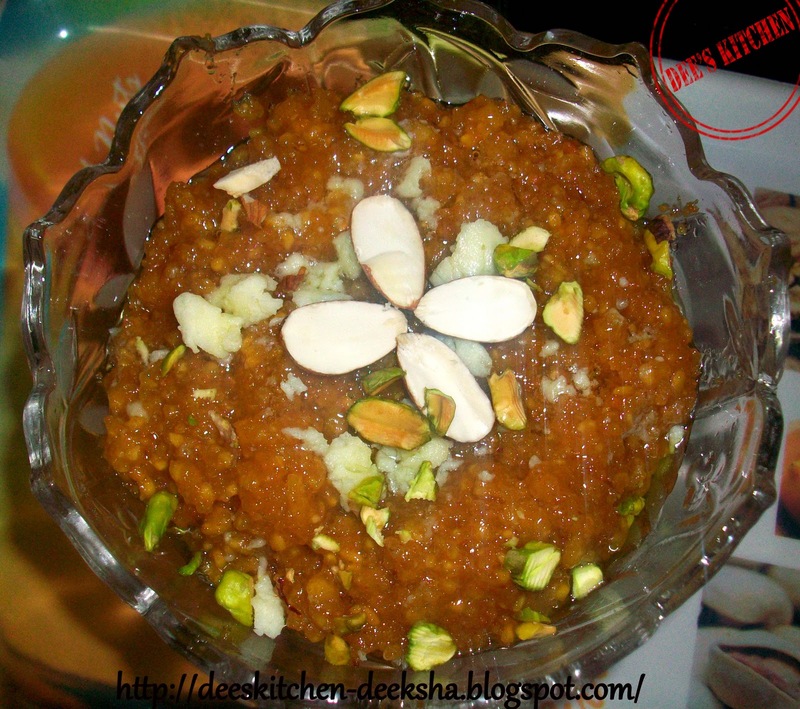 Halwa looks delicious. Congrats Deeksha,happy birthday to ur blog baby,halwa looks super delicious. Congratz for ur blog anniversary!! Delicious !! book marked it. congratulations! Halwa Looks Yummy! I am gonna Try it.